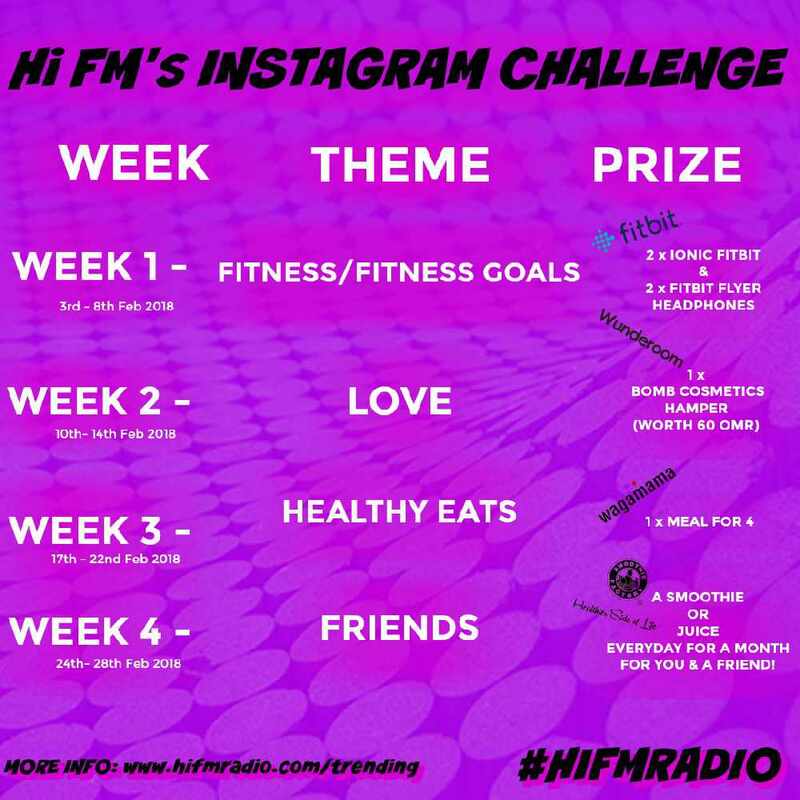 Hi FM's Instagram Challenge...Win prizes! Last year we did our first Instagram challenge. This was great fun and we LOVED seeing your photos. Now each week you need to snap a photo based on the weekly theme and post it using #hifmradio in the description. Every week Robin & George will choose the winning photo. Love. Wanna surprise the other half with a gorgeous gift this Valentine's Day? Share your love photos with us using #hifmradio and you could win a Pamper Hamper full of bath and body goodies from BOMB COSMETICS worth 60 OMR from WUNDEROOM. Healthy Eats. What healthy snacks and food are you enjoying? Share your healthy eats photos using #hifmradio and you could win a meal for 4 at the newly opened WAGAMAMA OMAN. This competition is open to people who live in Oman only. This competition is not in any way associated with Instagram itself. You must be able to collect your prize if you win from the Hi FM studios in Muscat Grand Mall. If you win the competition with Smoothie Factory Oman, You'll be able to redeem your prize only from the Smoothie Factory Oman in Oman Avenues Mall.